On 24 October 2014 in the Theater St. Gallen, the judging panel of the prestigious Entrepreneur Of The YearTM 2014 competition, organised by Ernst & Young, named its four Swiss winners. H. Moser & Cie., partner of the event, congratulates these entrepreneurs on their exceptional careers and achievements. These winners also qualify for the global stage of Ernst & Young's competition. Entrepreneurial spirit is an essential value for H. Moser & Cie. The Manufacture cultivates this spirit today in its respect for its founder, Heinrich Moser, who greatly contributed to the industrial and commercial development of Schaffhausen. H. Moser & Cie. is as sensitive to the characteristics of innovation, ingenuity and quality as it is particularly attached to the values extolled by entrepreneurship. Supporting the Swiss entrepreneurs alongside Ernst & Young forms a part of Heinrich Moser's heritage. H. Moser & Cie. was created by Heinrich Moser in 1828. Based in Neuhausen am Rheinfall, it currently employs 50 people, has eight of its own calibres and produces 1,000 watches per annum. H. Moser & Cie. manufactures components, including regulating organs and balance springs, which it both uses for its own production and supplies to its partner companies. 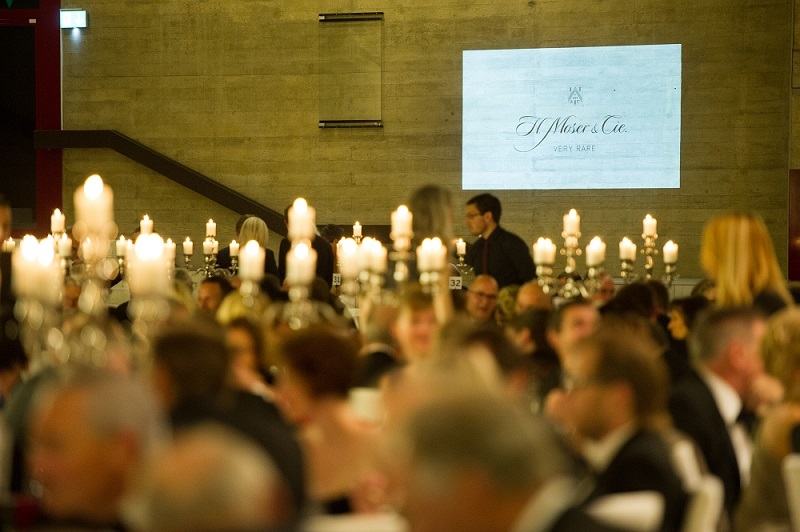 H. Moser & Cie. is honoured to have a Moser family member with the company as honorary chairman of the board and president of the Heinrich and Henri Moser Foundation. The Moser foundation, created by one of Heinrich Moser's descendants, was set up to keep the family history alive and to track down vintage timepieces to add to the Moser museum's collection, held at Charlottenfels, Heinrich Moser's family home. MELB Holding is an independent, family-run group based in the heart of the legendary Vallée de Joux. With the aim of promoting watchmaking savoir-faire and proven expertise in the field, MELB Holding holds shares in the companies H. Moser & Cie. and Hautlence.